At the Thursday, February 21st Board meeting, the Board approved a resolution to move forward with the elementary school consolidation. The presentation is attached below, but I would like to point out a few key items. We project an increase to an average ridership time of 40 minutes (36 minutes currently) across the district. Our goal is to keep the current start and end times of the school day. In comparing our current and projected class size numbers for next school year, class sizes will be very similar. The district will continue to have latchkey services at BOTH Lexington and Washington. At this time, we are looking at the possibility of the YMCA taking over the day to day operation of latchkey. The main reason for the change would be parent access to the Ohio Department of Jobs and Family Services to allow children to attend for free/reduced rate. Also, the YMCA is willing to give financial assistance for qualifying families. The district plans to mail home a letter to parents of students in grades K-4 on Friday, March 15th to let you know what building your child has been assigned to. If you have any additional questions, please call my office at 330-823-7458 or email at j_knoll@marlingtonlocal.org. 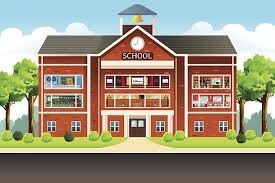 Thank you to our elementary parents who attended the parent meeting on Monday, January 14 or took the online survey we provided regarding the consolidation of our three elementary buildings down to two. We appreciate your time, feedback and dedication to the students of Marlington. Through both the meeting and the survey, we heard numerous concerns about the grade-level concept and how it would negatively affect our families. Based on this feedback, the Board of Education has decided to keep the Lexington and Washington Elementary buildings as K-5 schools. As you are aware, the original plan was to convert Lexington and Washington Elementary Schools into grade-level specific buildings. With this change, Lexington and Washington will remain K-5 buildings beginning next school year moving forward to best meet the needs of our students. The district is still finalizing several logistical items, such as which building the Marlboro students will attend, transportation, and open enrollment. The goal is to have this complete by the Thursday, February 21 Board meeting, where it will be shared with parents and community members. To view the results from the survey and parent meeting, please click on the links located on this page.